Shane Global Holding Inc.(“SGH”，Stock Code: 8482) founded in Sep.30, 2014 in Cayman Islands. The subsidiary specializes in researching and developing, producing, and selling of interior furniture. Subsidiaries include (Hangzhou) Heating Industries Inc. in charge of producing, Shayne (Macao Commercial Offshore) Limited and Shayne International Holdings Limited, Taiwan Branch (Cayman), both in charge of selling products. 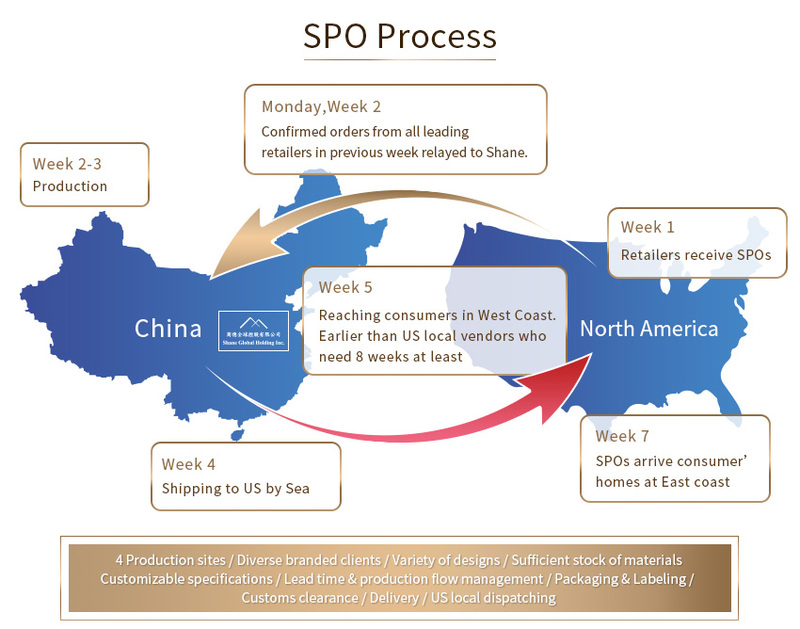 Our 4 main plants locate in China, equipped with a workforce of approximate 2000 people, and directly sale to key chain store retailers in North America, especially in the U.S. We have 10-year professional producing and selling experience with a vertical furniture production line, offering various products in one-stop shopping and speedy shipping service. Moreover, our staffs own extensive experience in the field of manufacturing interior furniture. Flawless quality, punctual delivery, and competitive price are our competitiveness. Every month we ship around 400 to 430 containers of exceptional customized furniture by sea. We target top 3%~5% of pyramid consumers in the high-end furniture market. We are not only traditional furniture manufacturer, but also devote our efforts to transformation (OEM→ODM). Having permeated through over 50% admitted upmarket retailers in North America, we actively capturing new market share. Our credo is Just In Time (JIT)：Accomplish production within 17 days. In consequence, consumers in southern and eastern America can receive their purchases within 5 and 7 weeks respectively after their order.